Just like many of you, fishing is my life, my passion, and my escape from the stereotypical hustle and bustle of normal day life. I live and breathe every moment of it, and when work isn’t getting in the way, I am tying and retying knots, rigging up that perfect outfit, and out there somewhere in this great country of ours wetting a line. I am always dreaming of that next great adventure in pursuit of “the one that got away” from previous trips. Recently I found myself daydreaming away, imagining that I was sitting on the boat with a coldie in one hand, a rod in the other, and watching the sun set over the horizon. The line is set and I can feel the paternoster rig rolling over the broken rubble deep below; it will only be a matter of time before I will be hooked onto that knobby that has eluded me so many times before. Right on cue, I can feel that all too familiar buzz in the line, and as the fish engulfs the bait I set the hook like a well oiled machine! The drag is screaming, line is peeling off the spool, and there is that magical tell-tale thump thump thump of a big red attached to the other end. With only moments to spare before I could dream up the size of this record breaking PB snapper, the daydream is cut short by one of my sons tapping at my shoulder and jumping up and down shouting “Dad….! Dad….! Dad….! Can we go fishing dad!?”. I find it amazing just how quickly the journey of life progresses. It was not that long ago that a group of mates and I would regularly be out for overnight adventures on a secluded patch of beach, hunting down that glowing-eyed jewie. We had no real responsibilities, we would bend the rules as far as we safely could, and we would carelessly laugh at the sign that read ‘no camps fires allowed’, whilst stoking the bonfire and raising a glass. Then, without warning and before you know it, a handful of years seemingly pass you by, you have acquired a pocket full of responsibility, rules are now meant to be followed, you ‘um’ and ‘ah’ about lighting a butane gas stove on the beach, and you have a little person standing right beside you, looking up at you with those big puppy dog eyes and begging for you to take him fishing. 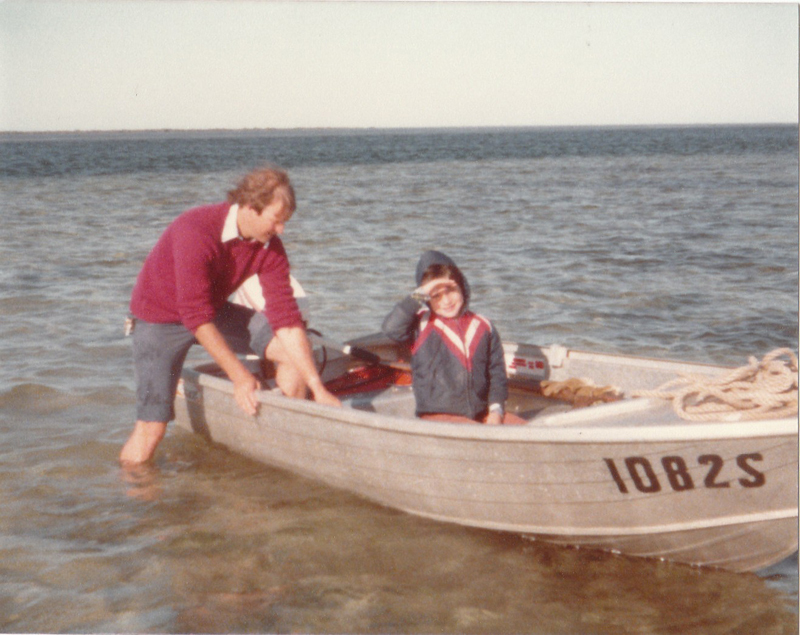 I can clearly remember being that little person looking up at my pop and asking him if he would take me fishing in the morning. Those moments are some of the earliest and greatest memories that I have, and I have no doubt they are the foundation to my piscatorial escapades. 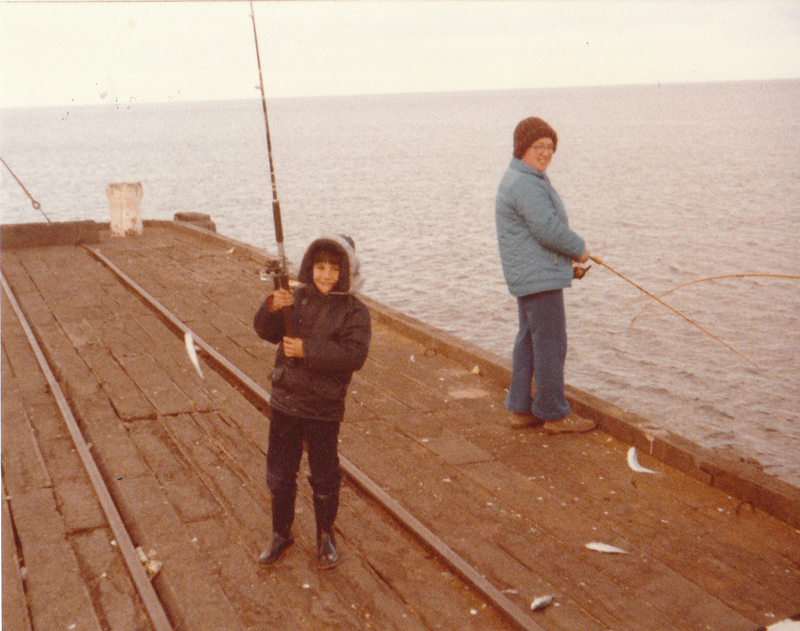 For me, if my pop and my parents had not invested all those patient hours on a cold and wet jetty in Ardrossan over 35 odd years ago, I would not be half the fisho I am today. I remember not being able to get to sleep the night before the big trip. Pictures going forwards and backwards in my head of the gigantic squid, the thumper King George whiting, and the bucket load of Tommies I was going to catch. Will I wake up in time to go? How did pop tell me to thread the gents on the hook again? What did pop say I needed to do when I feel a KG biting? What is it going to be like when I see that float disappear on my hand line, and will the squid squirt it’s ink all over me? I would be so excited I could hardly sleep! 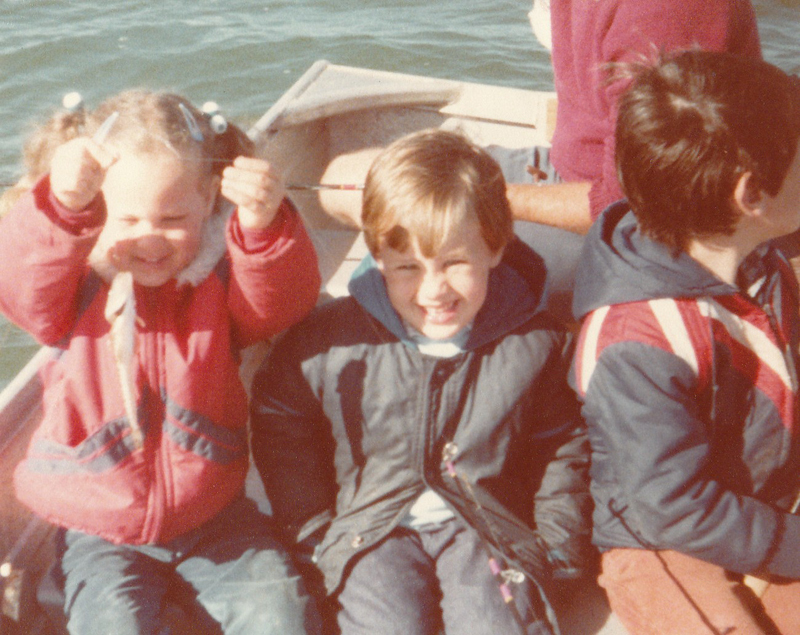 As a young tacker, the anticipation was as exciting as the trip itself! 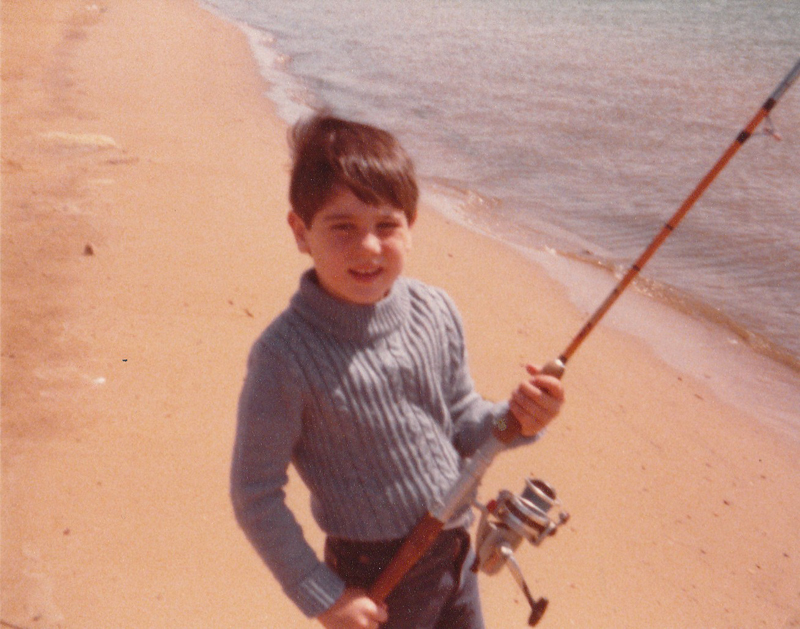 It is worth taking a bit of a step back every now and then, and remember just how your fishing journey began when you were just a little sprat. 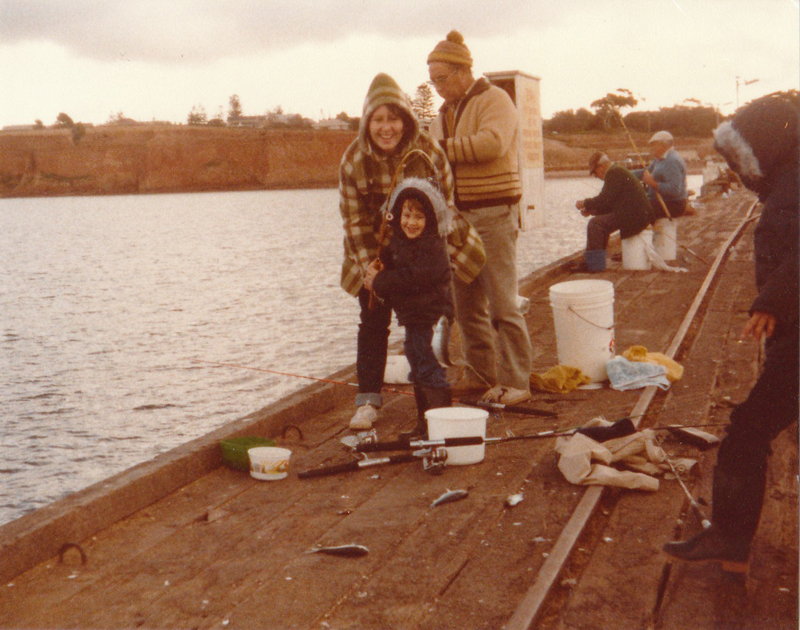 The anticipation of fishing with your pop, the adventure and excitement of getting up when it is still bitterly cold and dark outside, and that adrenalin laced thrill of the catch, that exact same exhilarating feeling we all still get today when we hook up to fish. 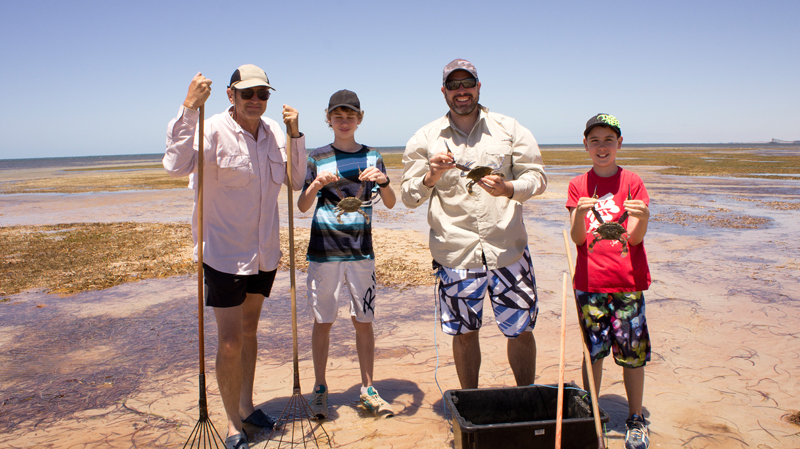 It is important to remember that the little toady you hook onto at low tide today may be ‘just a toady’ to you now, but as a kid it was a key part of the thrill, the challenge, and most importantly, it was ‘the’ fish that ‘you’ caught. 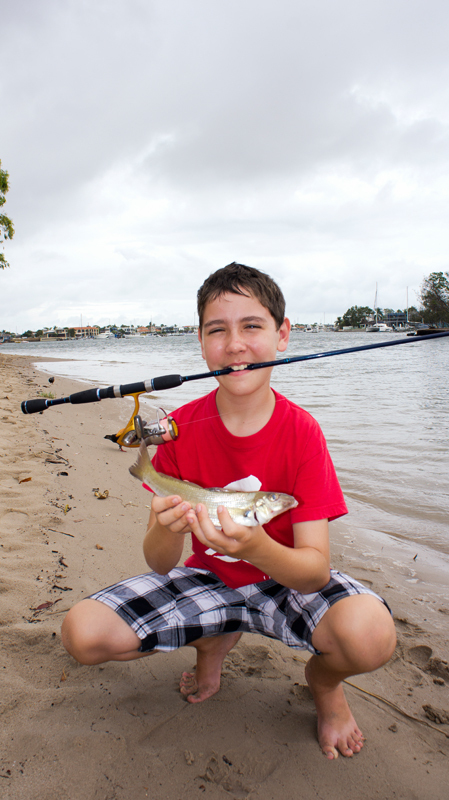 Being able to recall some of the excitement from experiences you had fishing as a fingerling will help you understand just how important it is to ensure your kids get the same opportunity to experience the same amazing fishing adventures. Sometimes it can be a little daunting trying to work out how on earth you are going to make their first handful of fishing trips perfect. What happens if they don’t catch any fish? Will they enjoy fishing as much as I did? How do I keep them amused for hours on end? You will have plenty of questions like this going through your head, so to make it a little easier, here are a handful of hints and tips I have learnt along my ‘get the kids hooked’ journey. For me this is the number one rule and the biggest challenge I faced when my boys were younger. 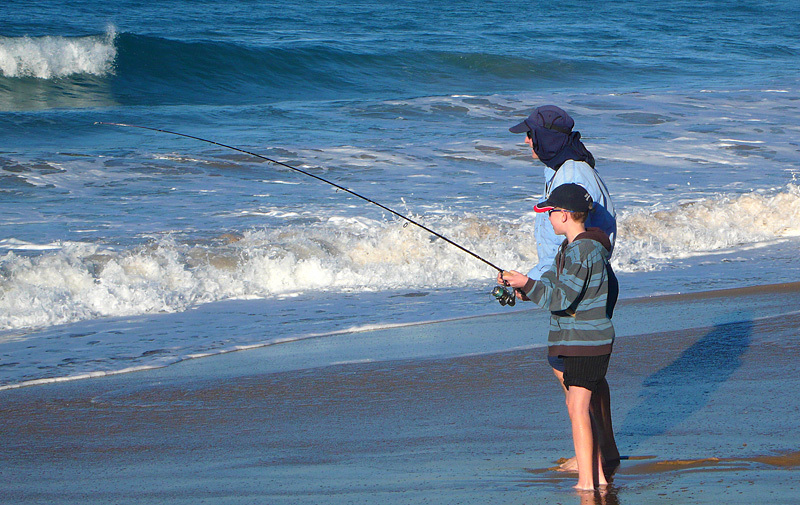 If you are going to teach your kids how to fish, do not make any excuses as to why you cannot go. Kids forget to brush their teeth, they forget to feed the dog, and they even forget to wash their hands before dinner, but they will never forget that promise you made to go fishing, especially if you break it. You may be looking forward to that Sunday afternoon football match with your feet up on the couch and your favourite cold beverage, or you may not feel like trudging through estuarine mud and re-rigging those bloody snagged lines again, but this time it is not about you. You have an obligation, and if your kids want to get out of the house, away from the consoles, and want to go fishing, do not make excuses; enjoy the opportunity to share your passion. 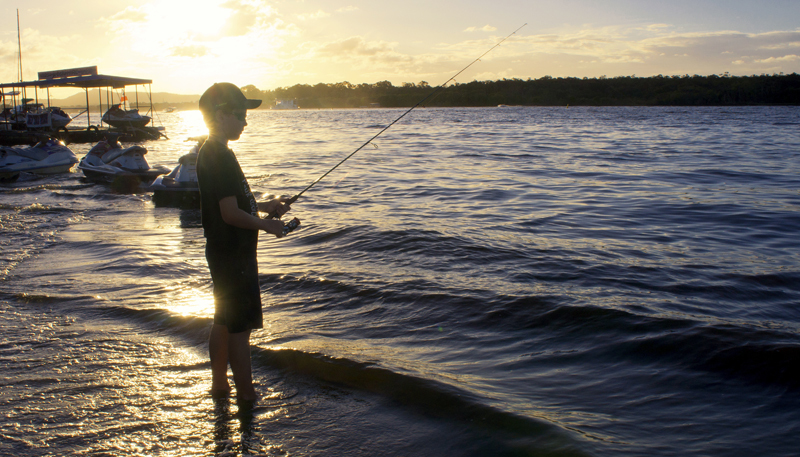 They are only young for a short time, and you will be proud you made the effort in twenty years time when you are out fishing with your grown up kids and sharing a yarn and coldie with them. #2: Build up the excitement! Kids love living in the future. Whether it is the excitement of that upcoming sleepover at a friend’s place, that big birthday party next weekend, or the neighbourhood game of cricket; kids love the excitement of the build-up. Let the kids think that they were the ones that found the secret fishing spot on the map and that it was their idea to go fish there. Let them think that the choice of line, hook, and sinker was a rig they somehow dreamt up all by themselves. 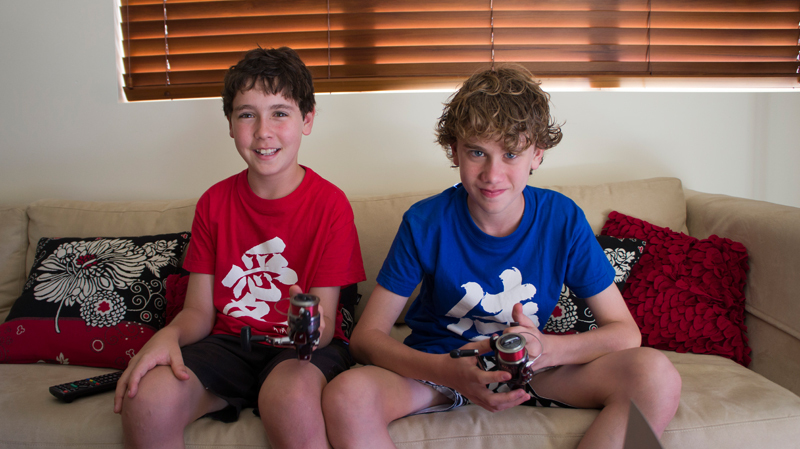 Take them to the local tackle shop and buy them their first ever tackle box. Throw in a handful of your longshank hooks, a few sinkers, some swivels, a jig head or two and a packet of soft plastics. It is those simple things we take for granted that gets the kids minds going overtime and excited about going fishing. It is not just a handful of must have terminal tackle in a box to them; it is a treasure chest of goodies that they are going to take along with them on their grand fishing adventure! #3: Bread and butter is the key. 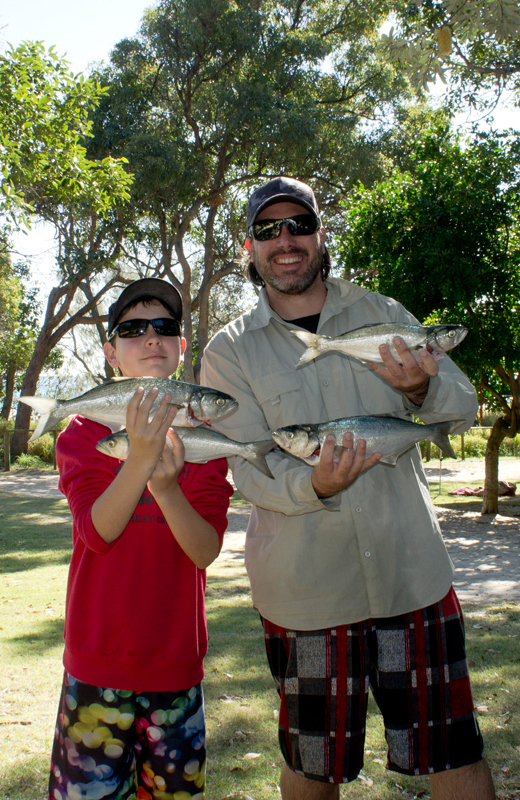 Ensure you maximise the chance of the kids catching a fish, and hunt down those bread and butter species. Take them to your favourite creek entrance, that ever faithful sand bank at your local canal estate, or that muddy bank at the dam down the road. It does not matter where you go, it just has to be some place where the the fish will be. Forget about the wise old jewie, the torpedo tuna, or the prized coral trout, you need to hunt down the good old trilogy; the mighty whiting, the humble bream, and the trusty flathead. The old adage of size does not matter directly applies to your fishing trips with the kids too. They do not care about what they catch or how big it is, they just want to catch a fish. 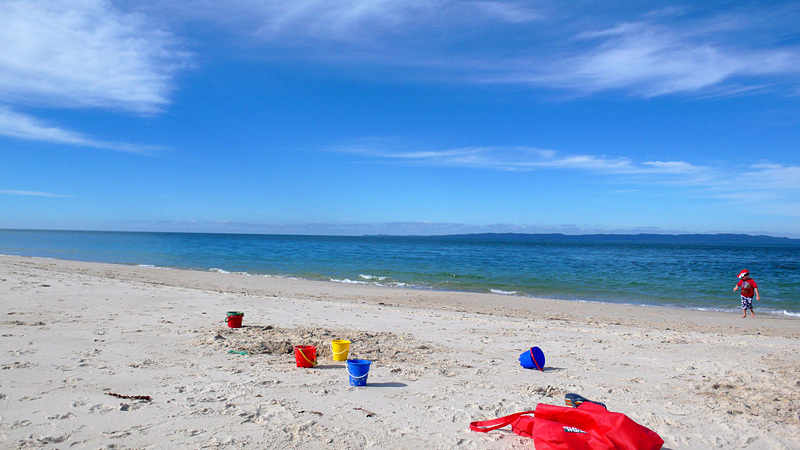 #4: Let them build sand castles. 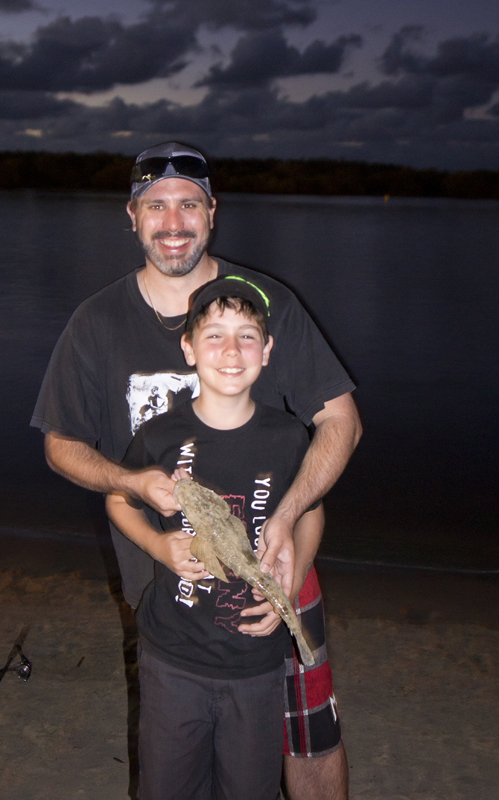 One of the biggest frustrations for me when I first started teaching my lads how to fish was that I could not understand why they were building sand castles, throwing stones into the water, or chasing skinks along the rock walls. What on earth could be wrong with them? There is perfectly good fishing territory in front of us and it is only a matter of time before we hook up. After many many trips, I came to understand that kids have an attention span of only around 20-30 minutes. That is it, not a second more. If there is not a nibble on the hook, or a fish flopping around on the deck within this time period, they will get bored and turn their attention to other forms of fun. It is important to remember that all is not lost, you have not done anything wrong, and it is not to say your kids will not become fishos in the future. It is simply because they are kids. Take some sand spikes along with you, put the rods in the holders, and let the little buggers have fun, because at the end of the day that is what the trip is all about. 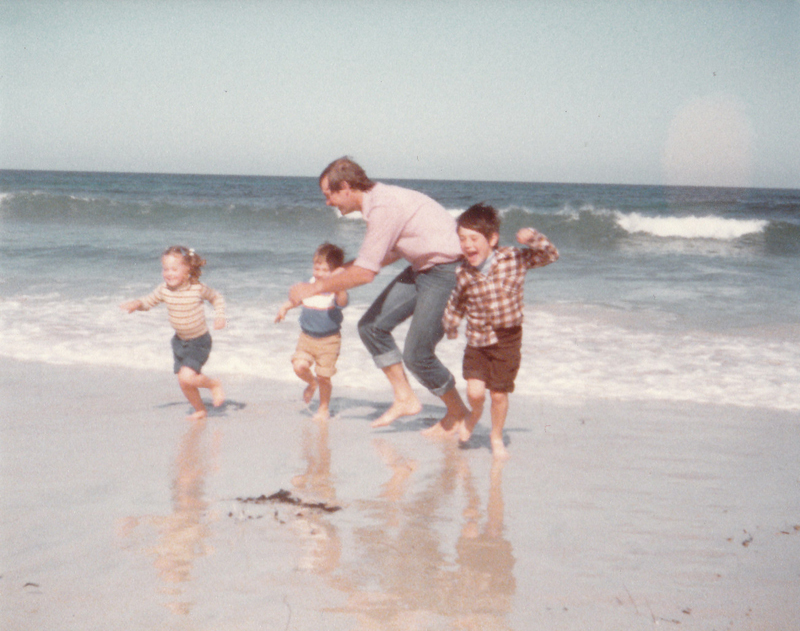 Quality time, whether hooking that fish, building that sand castle, or searching between the rocks. Kids want to be just like you. They want to put the bait on the hook, they want to cast the line out and wind it back in, and they want to catch the fish. 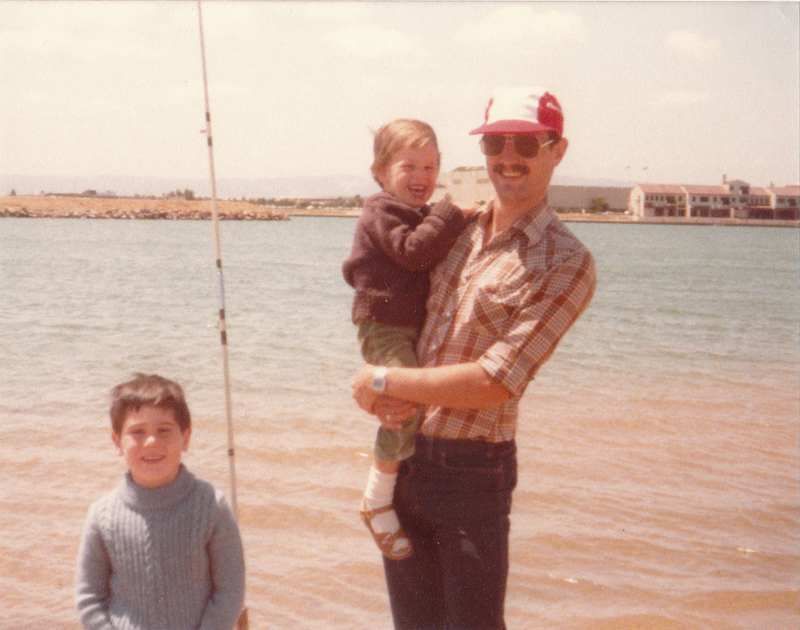 When I first took my boys fishing, I wanted to cast out for them for a handful of reasons; one, I did not want to stuff around; two, I did not want them to get hurt; and three, I wanted to get them set up so that I could catch a fish for myself. 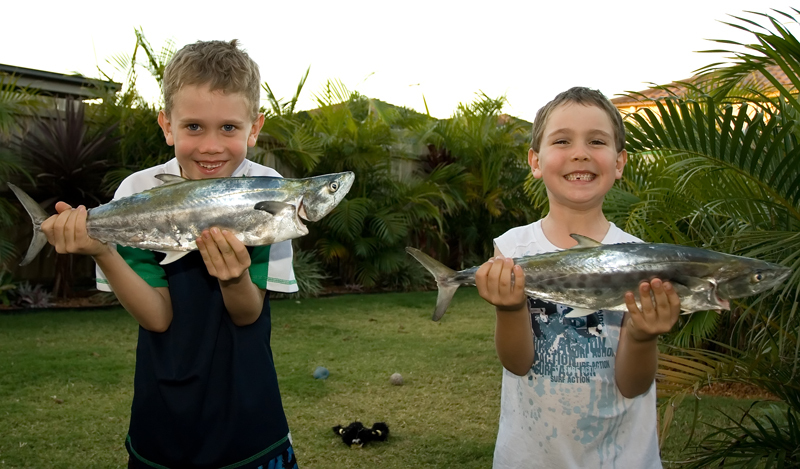 Kids do not want to just catch a fish, they want the whole angling experience. Yes, you may have to untangle some lines, and yes you may spend an entire fishing trip watching your kids do that big whippy cast that sees the sinker drop directly at their feet, but they have to learn at some stage and the sooner they learn the better. The best advice I can give is to get the kids fishing with soft plastics straight from the word go. They can cast and cast and cast to their heart’s content, and you will not have to change the bait every five minutes because it keeps falling off of the hook. Not only will they learn how to cast before you know it, but they will have an absolute blast practising and will most probably hook onto that hungry bream or flattie that keeps watching their plastic twitch past it every 30 seconds. Casting is one of those foundations of fishing that the kids will have to get at some time, so let them have fun and go for it! Let your inner child free once in a while. Remember how much fun you used to have as a kid playing in the rain? Take the kids fishing in the rain! It is a great adventure for them and fish usually fire up when there is a bit of rain around. 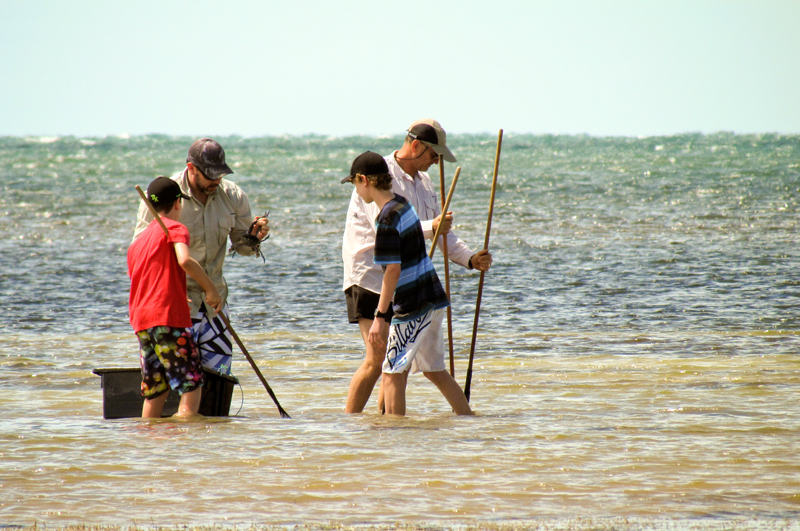 Grab your yabbie pump or fill an onion bag with old fish frames and collect bait with the kids. They will love trying to pull up a bloodworm in one piece or trying to avoid being bitten by the claw of the yabbie. See who can cast the closest to a bit of structure in the river or behind the break on a beach. Grab those old rakes and a bucket out of the shed and take them dabbing for crabs. The kids will have a ball jumping around in the water trying to find a crab hole, and you will have a good laugh at them when they are squealing around the flats because they cannot find where the crab has disappeared to. No matter what you do, make it fun for the kids, and you will probably have a hell of a lot of fun yourself to boot. #7: Hand over the rod. This is ridiculously hard to do. Your mind will be bouncing moral questions backwards and forwards in your head. “I should reel it in. I caught it… it’s mine!”. “No… you can catch a fish any time, give it to your kids!”. “No .. it’s mine.. no… it’s about the kids.. no.. it’s about me… no….”. Do not bother fighting with yourself when this moment occurs. Hand over the rod to the closest small person you can find, let them enjoy every moment, and try to not let them see the tears welling up in your eyes. Loosen the drag a little so the fish can give them a bit of a fight, and ensure you make a hugely exaggerated fuss! Once they have landed that little 45cm flattie that you have been trying your hardest to tempt from it’s sandy hideout, give high fives all round and shout out a wooohooo or three!! At the end of the day, this is what it is all about, and the kids will love, and remember, every moment. And the final tip in this series. Cameras are cheap and memories last forever. Make sure you snap away and capture that giant fish ‘that-was-this-big’, get that shot of the grin from ear to ear after they have been sprayed all over with ink from a squid, and get that pic of them holding up the first ever keeper flathead they have caught. Smiles, laughter, memories and pride. There is nothing better than looking back at that special moment when all of your hard work and patience has paid off. I hope these tips encourage you to get out there fishing with your kids, and help make the whole process just that little bit more enjoyable. Over the years I have invested a lot of time and patience fishing with my boys, and yes, sometimes there has been utter frustration, but the majority of times it has been a real honour. It is important as fishos, mentors, and mates that we keep great traditions such as fishing alive. Have a good belly laugh when the kids cast their line behind them by accident. Have a chuckle when they hook that same snag for the umpteenth time. Even giggle with them the next time you watch their bait continue to fly through the air after they have made a cast. Enjoy every moment and invest the right amount of time and patience in your kids, and I guarantee you will be greatly rewarded in the future. Who knows, maybe one day you may get the chance to pass on your knowledge and yarns to your children’s children. Until next time, enjoy your fishing adventures, stay safe, and tight lines. © 2013 Mogozobo. All images are copyrighted by their respective authors.